This special Festa Afro Tuga winter edition night is our biggest up to now, with a funana live band from Cabo Verde / Lisboa, Afro Portuguese DJ’s from Lisboa and a string of local Bxl DJ’s. Born in the neighbourhood of S. Domingos (Santiago island, Cabo Verde), Silvino Branca is an important figure in modern funaná, part of the generation that inherited the sound of Codé di Dona, Sema Lopi, Julinho, Bitori or Tchota Suari. Like them, Silvino Branca is a ‘homi di gaita’ (accordion man) and fully embodies the new funaná generation raised in the ghettos of Cabo Verde, where he started playing at the tender age of 7. With the inspiration and influence of the old masters, he brings traditional funaná in its newest accelerated style: Cotxi Pó. A wild mix of shorter funaná accordion melodies with abrupt changes and more obvious hypnotism, dropping lyrics and references to times of poverty, drought and persecution experienced by the previous generation. These roots, strength and muscle have made the Cotchi Pó style extremely popular in Cabo Verde. Silvino is joined by bass guitar player Carlos da Veiga (Julinho da Concertina / Pedrinho band) and his wife Maria Das Dores Diop on ferro. Their Cotxi Pó sound is feverishly psychedelic with long trance-like compositions, the pace never slows down. Can you keep up? Puxa! Wilson Vilares aka Celeste Mariposa started out in the techno scene but the powerful music of the PALOP countries lured him in and he became a true connoisseur of Luso-African music from Angola & Cabo Verde, Guinee Bissau, Sao Tomé and Lisboa. Celeste Mariposa is also a label imprint, releasing talented Luso-African artists living in the Lisboa area such as Chalo Correia and Julinho da Concertina (both played in Bxl the last few years). Expect psychedelic roots funaná, colafunk, electro passada, semba, rebita, kizomba roots and much more! Adjalme Noronha aka Kolt is the founding member of the Blacksea Não Maya crew from Lisboa on the other side of the Tejo river, known as Margem Sul. Together with Dj Perigoso, Dj Joker and his younger brother Noronha they have released 2 LP’s on the crunching Principe Discos label from Lisboa. The Blacksea Não Maya sound is an urban blend of Afro Portuguese ghetto beats, spanking percussion and electronic tones, like slower funaná crossed with the rudiments of kuduro, tarraxo and socopé rumba. His younger brother DJ Noronha played at our Festa Afro Tuga #2 night in 2017 and halfway his set the Brussels police stopped the party. that’s how wild it got. This time Kolt will take us till the end! 54K crew are known in Brussels for their open eclectic parties combined with urban & social activism allover the city, where they counter against empty real estate, racism and human rights. Phonetics is one our brothers who understands the Afro Tuga vibe, playing all between kuduro, afrohouse and the current Afro Lisboa sound. Brussels global crew Rebel Up! is no secret with eclectic global nights allover town, their monthly radio show Nightshop and Kiosk Radio sessions and their international label. Expect some hot warming up & heating down in Luso African spheres, from vintage sounds to contemporary LX beats, batidas & funanas do guetto, PALOP style. Founder of the Giraffes & Penguins party who will take us on a surprising journey, spiced up with the genuine PALOP sounds of ferrinho and gwoka blend to create the kind of groove that can only be explained on a dancefloor! 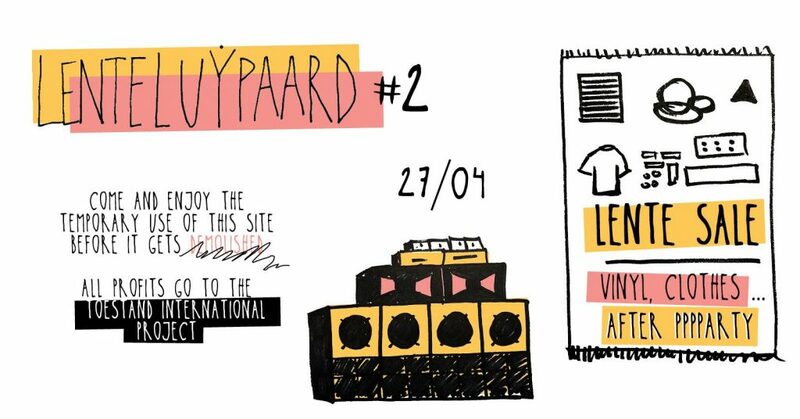 DJ duo from Mechelen who are rabid vinyls collectors of all sounds Afro, tropical and PALOP. 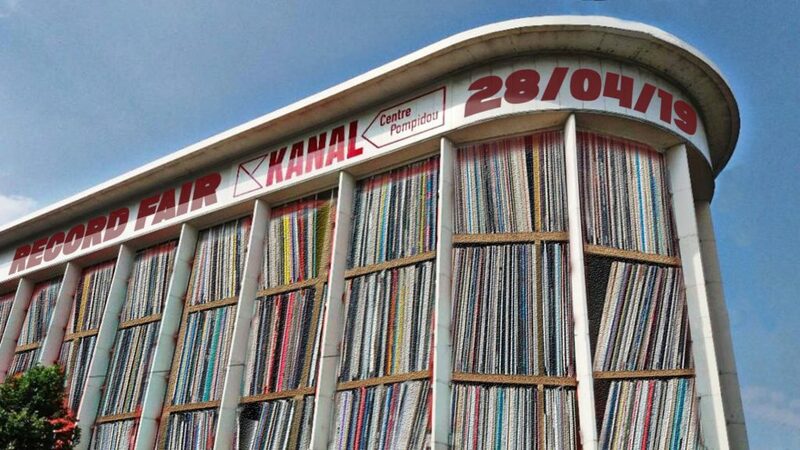 Expect the finest vinyl tunes from Cabo Verde to Guinné Bissau, Angola, & Sao Tomé. Wild! CABO VERDE FOOD FROM 20H – 22H30 > CACHUPA!!! Nilza our Cabo Verdian chef friend, will cook a typical Cabo Verde dish. Cachupa is the national stew of slow cooked corn (hominy), beans, sweet potato and meat. Perfect for a night of heavy party. as the Portuguese say: Quem nao reserva come restos. 5€ before midnight / 8€ after!!! A weird-looking caravan is progressing slowly through the desert. The Bedu-Penguins are approaching, followed by dozens of robot giraffes carrying their massive soundsystem. They travel from town to town to spread traditional and futuristic arabic sounds, night after night after night… Soon they will reach their next destination – a wild oasis called Au Quai. Is it a mirage? Come check it out! The caravan’s members GAN GAH, Rebel Up Sebcat & Duckfood, Le Grand Méchant Loop and Maria Ilia (video mapping) will shake your hips & bellies all night long! with his melting pot fusion of Electronic music and North-African vibes accompanied by rhythmic beats. Gan Gah edges more into Gnawa and Berbers territory with his music like you’ve never heard before, hypnotising his audiences with dancing spells and creating a movement that no other producer has yet to make. The Moroccan born producer is bringing his childhood Agadir roots into Brussels with his memorable sets, effortlessly gathering unity and culture together through his music. In 2015 he released an album dubbed ‘Souktronics.’ The following year was a big one for Gan Gah as he dropped two albums, ‘Moroccan Affair Remixed’ Featuring Jabo, and ‘Chaâbitronics.’ Gan Gah has performed at Dour festival, Sfinks Mixed Festival and the infamous ADE (Amsterdam Dance Event). Whether it’s with his production skills or DJing, Gan Gah pushes sonic boundaries and envelopes listeners into his universe. In the Brussels global scene, Rebel Up has become a household name through their party nights of contemporary *world* music and electronic ethnic sounds in Recyclart, Bonnefooi, Brass, Beursschouwburg and other Bxl venues. Rebel Up SebCat & Duckfood selections are colorful and not hampered by any preoccupation about genre. Expect a true Rebel Up trip into global dancefloor depths! Philippe Nullens aka Le Grand Méchant Loop is global underground DJ and percussionist based in Brussels. He shares his passion for global music through the Giraffes & Penguins events that he has been organizing since 2017. He will take us on a wild journey through the desert, spiced up with live percussion! Maria is a Brussels-based freelance architect and visual artist. Her experience in architecture came together with her passion for visuals to develop sophisticated and colorful video mapping on handmade structures for events and festivals. 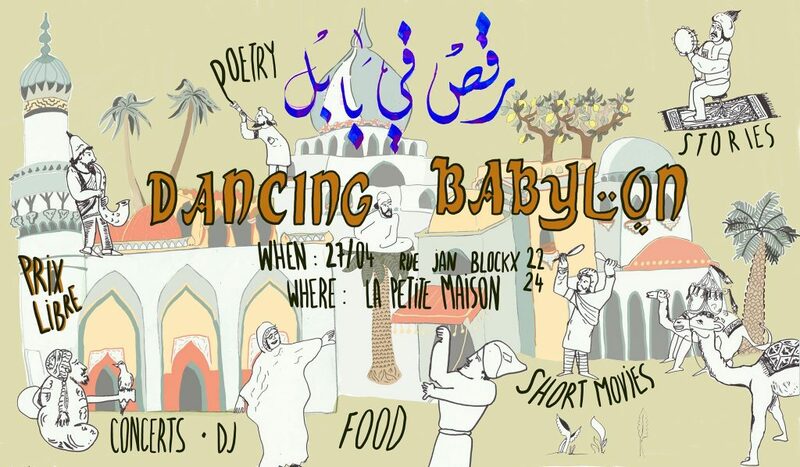 Tonight the visual vibe will be set in Bxl Arabic moods, to surprise the senses. This special summer Afro Tuga *Live* edition is a concert night with a live band all the way from Sao Tomé e Principe, Conjunto África Negra, who bring Rumba, Socopé and Semba! For over 40 years, África Negra holds the musical scepter of Sao Tome and Príncipe, an archipelago off the west coast of Central Africa. They are extremely popular in Portuguese-speaking African countries such as Cape Verde, Guinea-Bissau, Angola and Mozambique, even in Colombia and in the Afro Portuguese diaspora around the world! Their music was a symbol of the first years of independence in 1975. They are idolised for their inimitable line of guitar based Rumba and Socopé from Sao Tome or Congolese Soukous, with also some happy notes of Highlife from Ghana. They are back, without losing their original sound of the 70s and 80s and with most of the original lineup. If you were at their incredible and wild concert last year in Muziekpublique, you know the musical fire they will bring. Puxa pa! Wilson Vilares aka Celeste Mariposa started out in the techno scene but the powerful music of the African ex-Portuguese colonies lured him in and he became a true connoisseur of the Luso-African music diaspora from Angola & Cabo Verde, Guinee Bissau, Sao Tomé and further. Celeste Mariposa is also a label, releasing talented Luso-African artists living in the Lisboa area such as Chalo Correia and Julinho da Concertina (both played in Bxl the last 2 years). Expect wild funana, funky coladeira, electro passada, shaking semba, rebita and much more! Brussels global crew Rebel Up! are no secret with their eclectic global nights allover town, their monthly radio show Nightshop and Kiosk Radios session. Expect some hot warming up in Luso African spheres, from vintage sounds to contemporary LX beats. Founder of the Giraffes & Penguins party, he will take us on a surprising journey, spiced up with live percussion, where the genuine sounds of ferrinho and gwoka blend to create the kind of groove that can only be explained on a dancefloor! stew of red beans, cabbage & sausage / ragout avec haricots rouge, chou vert et viande! This friday Rebel Up SebCat will be spinning at the Noite Puxa party, organised by Celeste Mariposa in the alternative Music Box club. Expect a wild night full of PALOP sounds, African beats and tropical thunder. guestlist before 2am? ask SebCat. On saturday, the return of El Pulpo collective with Rebel Up in La Tentation. A very special Afro Latino concert & party night with an Afro Portuguese touch, with the band Ussu N’Djai & The New Balansa from Guinee Bissau/Senegal/Amsterdam and producer/DJ Pigmaliao from Brasil and more surprises. the Amsterdam-based group of Ussumane ‘Balansa’ N’djai brings an exciting mix of different West-African music styles (m’balax, m’gumbeh, Afro-Mandingo, Carribean reggae, salsa and funk.) Balansa composed the songs with texts in different West-African languages such as Wolof, Mandingo, Creole, French, English and Portugese, a true afro latin mixture with cultural roots. Pigmalião is the materialization of the reference from the label Frente Bolivarista and remains in constant transformation alongside the label release narrative. Frente Bolivarista has made a stellar rise over the past year to be one of the labels to watch for the future of Latin America music. Brazilian musical legacy has always seemed somewhat set apart from the rest of the continent but the label, alongside the growing links between booming São Paulo and Buenos Aires, Quito or Lima shows that the tide is changing. It is indeed the becoming, and going even further than, the musical version of Bolivar’s dream: a global collaboration of new, inter infected, border hopping sounds shaping the future of Latin American music. Presale tickets available, cheaper than at the door!